Before bursting into the comic book world as The Walking Dead's Negan on the AMC series, Jeffrey Dean Morgan debuted as Batman's father Thomas Wayne in Batman v. Superman: Dawn of Justice. Comic book fans know that in the Flashpoint storyline, Thomas Wayne steps into the role of Batman as Bruce has died. Over the weekend, one young fan asked Morgan if that role is one he would be interested in if the DC Extended Universe should head in the direction of Flashpoint. "Man, I would love to play that Batman... 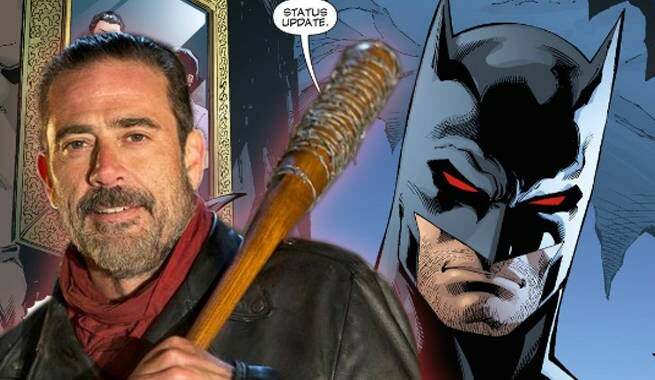 It would be very cool," Jeffrey Dean Morgan said before adding, "Flashpoint would be very cool." In fact, the actor has been text messaging Zack Snyder bugging him to get a larger role and possibly the Thomas Wayne Batman part in the Justice League movie universe. "Man, I would love it. I would definitely love it," the actor adds. When he was initially approached about the role, he was only told it would be a Batman story. Morgan recounts Snyder asking if he would be interested and he quickly told him, "Man, are you f'n insane?" He was immediately on board. Thomas Wayne was killed off in the opening moments of Batman v. Superman: Dawn of Justice, staying true to his comic book roots. However, Barry Allen's appearance in the film and heavy involvement in the future of DC films makes a Flashpoint storyline a possibility. That said, the iconic DC Comics story line is currently being adapted to the small screen as Grant Gustin revealed earlier today that the first episode of The Flash's third season will be titled, "Flashpoint."